Which BIM Software is Right for Me? In response to that question, EntreArchitect organized this exclusive three-part webinar series to help you make that critical decision. Representatives from Vectorworks Architect, ARCHICAD and Revit will present their products, show us how to get started, explain why their software is a great tool for small firm architects and answer the many questions we all have about how to transition from CAD to BIM. 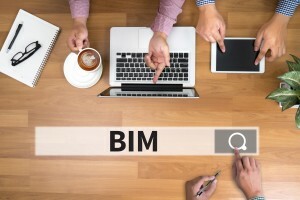 Each webinar session will include an introduction to a BIM software package and a live demonstration of the product features, tools and techniques. Each session will run for about 60 minutes, including presentations and Q&A. That’s 3 hours of informative video content. Click the button below to purchase unlimited access to the entire 3-part special session webinar series. Rubina’s knowledge of BIM and her architectural experience help her to work with designers to understand their needs and goals, as well as demonstrate how BIM workflows can benefit their projects by communicating how interoperability and collaboration with all parties in the design process improve with Open BIM. Rubina earned a bachelor’s of science degree in geology and earth science from George Washington University, and a master’s degree in architecture from the University of Tennessee. As a geologist, Rubina worked for the Climate History Division of the U.S. Geological Survey. She’s also worked as both a project architect and a BIM manager for firms, focusing on institutional projects such as schools. Rubina is an Associate member of the American Institute of Architects, as well as an active member and volunteer for both the National Organization of Minority Architects and Architecture In Schools. Berger works to educate and assist firms in their need to improve workflow. He provides training to architectural professionals, leading to in-depth proficiency with GRAPHISOFT BIM technologies. As an independent architectural and design consultant, utilizing the benefits of BIM for nearly 20 years Berger has worked with a number of firms specializing in sustainable residential, commercial, government and community development projects. Berger holds Bachelor’s degrees in Architecture degree from the University of Kentucky. His first ARCHICAD experience came as an intern at a small firm in Baltimore tasked with doing a video walk-thru of a new college campus design in 1996. After three weeks, six buildings a campus plan where modeled and rendered very successfully. Even then, the robust 3D models(virtual buildings) were exceptionally helpful to the design process and drove him to what would later be called BIM. Since then he has trained hundreds of new users how to work with ARCHICAD effectively. Aaron is a Registered Architect, Civil/Structural Engineer-in-Training, LEED® AP BD+C, and AEC industry technology evangelist based in Fort Worth, Texas. Holding graduate degrees in architecture and engineering (M.Arch, MSCE, BSCE), Aaron has acquired widespread industry experience in architecture, engineering, and construction over the past 20 years. Aaron initiated Revit® transition efforts in two design firms prior to joining an Autodesk partner, where he spent five years offering consulting, training, and support to AEC customers. A senior technical specialist with Autodesk, Aaron presently serves as a subject matter expert for buildings, informing and influencing customers across North America on BIM workflow adoption and strategy.